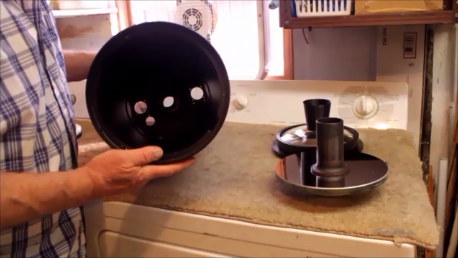 I recently completed the restoration of the Unitron Weight drive and it is now fully functional. 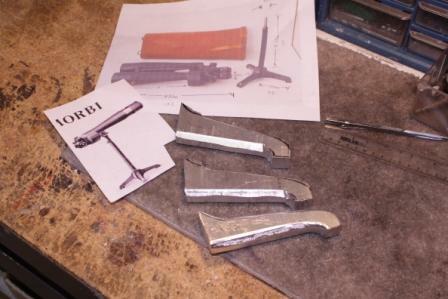 If you have been following the story click here Gear Boxes. If you want to start from the beginning click here Weight Drive Restoration. This entry was posted in Uncategorized on February 2, 2015 by DaveTrott. 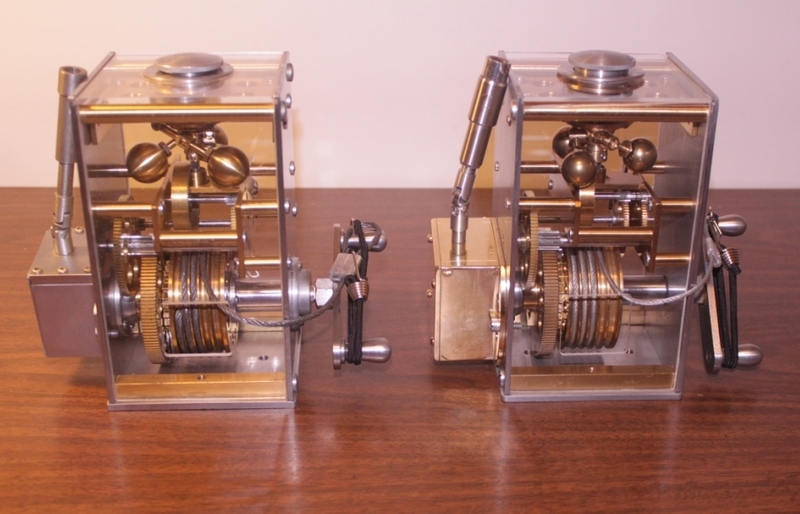 I recently acquired a broken and incomplete Unitron Weight Drive and restored the missing three ball governor. The replicated drive is on the right in this picture. 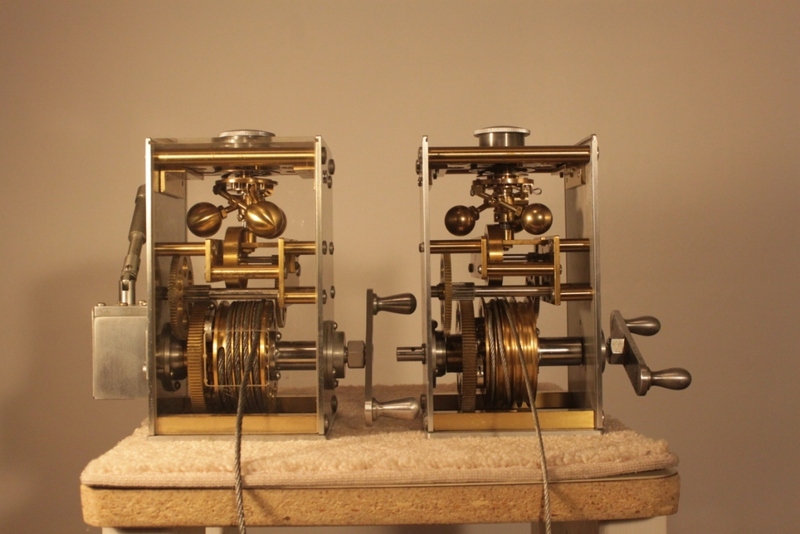 For all the details see Restoration of a Unitron Weight Driven Clock Drive . 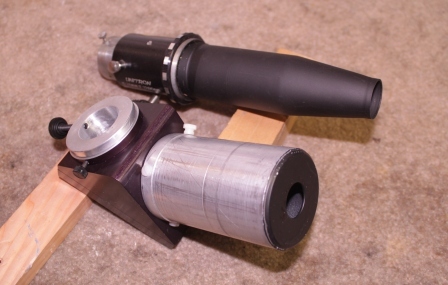 This entry was posted in Telescope Maker's Workshop, Unitron Telescope, Unitron Weight Drive on December 24, 2014 by DaveTrott. 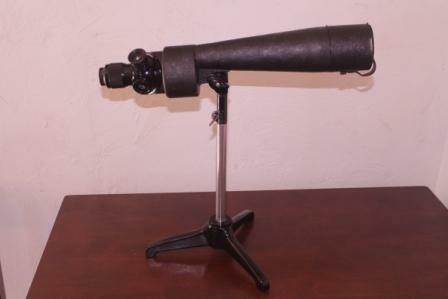 I recently posted a video of this beautiful 80mm “GOTO Kogaku” telescope. The reason for the use of “GOTO Kogaku” (rather than simply “Goto” is to disambiguate this from the very common computerized “Go To” Telescopes that proliferate everywhere. 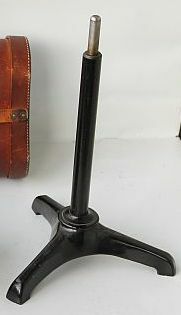 There is no computer with this telescope other than the user’s brain. If you are searching for “GOTO” brand telescopes you may wish to try the term “GOTO Kogaku”. The video is at http://youtu.be/uoQs326-h00 . This entry was posted in Vintage Classic Telescope on July 4, 2014 by DaveTrott. Recently I began to notice some disturbing loud clunking noises when I moved my Meade 7 inch from one position to another. I was already aware that this scope contained a substantial counterweight inside the tube. 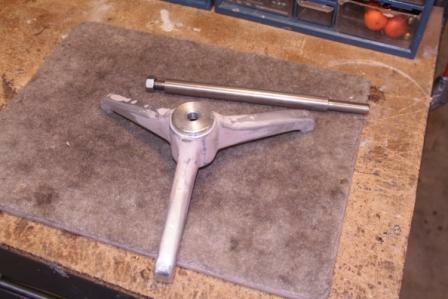 The counterweight allows the telescope to balance in fork arms designed for a shorter 8 inch Schmidt Cassegrain telescope. The counterweight was loose inside the tube, bouncing up against the delicate primary mirror! Sooner or later a disaster was inevitable. It had to go. Even if the weight had still been well attached, it would be desirable to remove it. 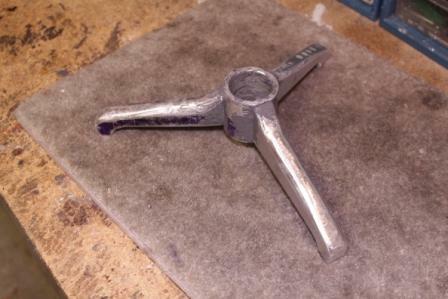 The counterweight causes slowed cooling resulting in problems with the image under less than ideal circumstances. Some ATMs have already removed the weight for that reason alone. 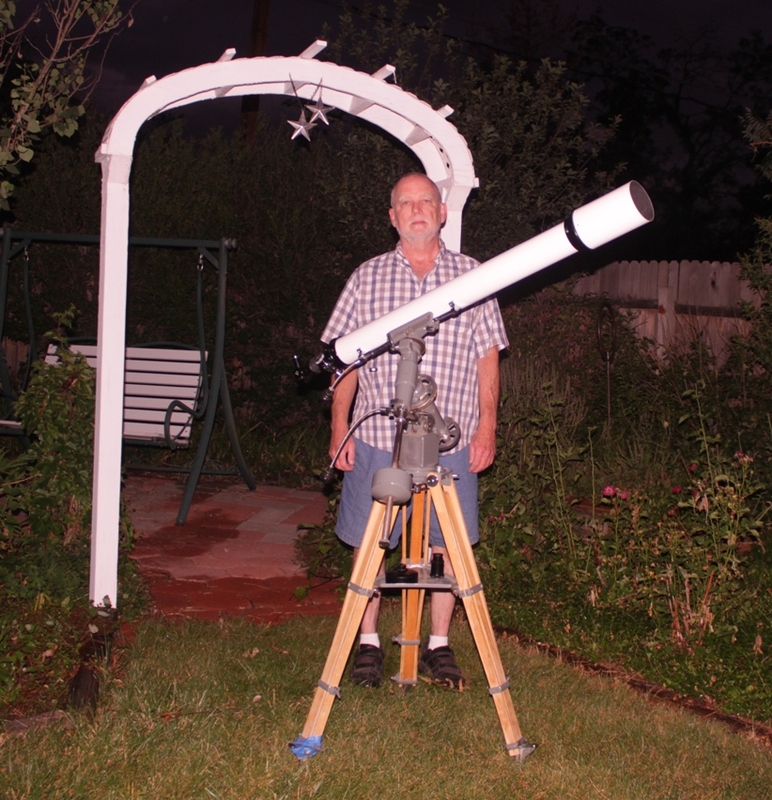 See the excellent information from Steve Hollenbach at http://www.astromart.com/articles/article.asp?article_id=685 . His advice and instructions are invaluable! It was time for major surgery on that telescope. This is not something I recommend for all owners of the Mead 7 Mak. I undertook this with some trepidation and I am a highly experienced Amateur Telescope Maker. 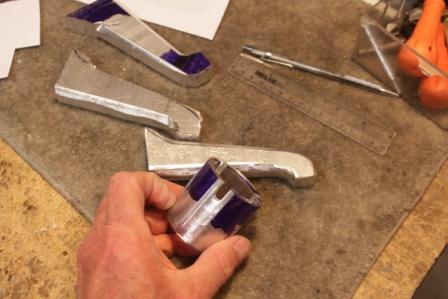 You might need to cut your tube or pry the counterweight out of the back of the tube using some sort of crowbar. 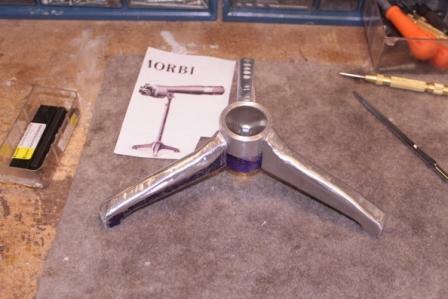 You could easily drop the mirror inside the tube while in the process of disconnecting the focusing mechanism, damage the mirror while handling it inside the tube, drop the meniscus corrector plate, break the baffling tube, get dirt or metal particles into the grease on the mounting tube or any number of other possible disasters. Consider the risks before you do this yourself! Please see my Youtube video at http://youtu.be/nLqaeY7h7k8 for all the details. 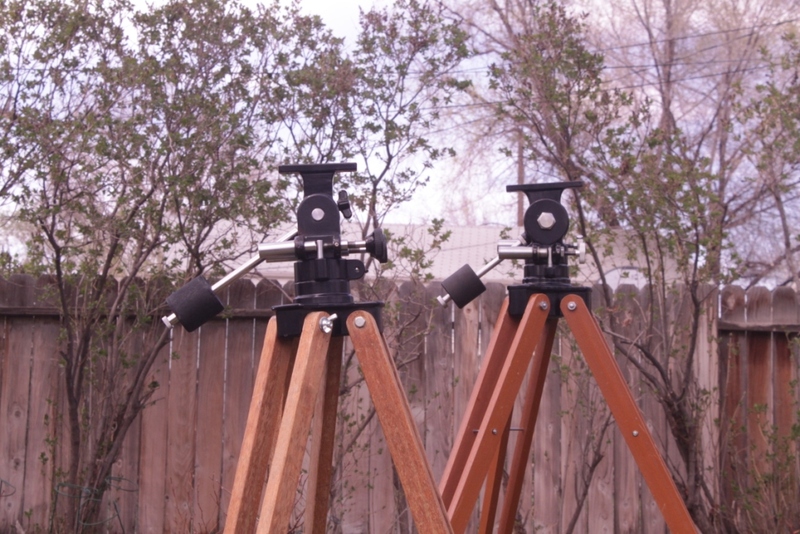 The “new” Mak is at the far left, then a 6 inch f/15 folded Jaegers achromat, then a Meade 5 inch ED APO at the far right. I was glad to see that the new, lighter mount for the Mak was sufficient for visual observations up to over 200x. The Mak cooled very nicely and what was nifty was that it stayed cool. I have noticed in the past that the scope would look great momentarily but it never really settled down. It was very tempramental and it would shine briefly only to dissapoint a moment later. I hypothesize that this was due to the large thermal inertia of the massive counterweight. Anyway, that behaviour was gone tonight. Hurray! The thermal effects in the Mak have vanished. It still has a relatively large central obstruction, though so putting it up against a couple of smaller refractors is a fair competition. The optics in these scopes are all nearly perfect. The ED APO is superb. The 6 inch is great but there are a lot of optical surfaces in that scope so it is a little softer. The Mak shows a textbook diffraction pattern inside and outside focus. The Mak has a perfect image during the brief moments of perfect air, a few times every several seconds. But, even with the dramatic improvement, it is a bit more susceptible to seeing than the other scopes. 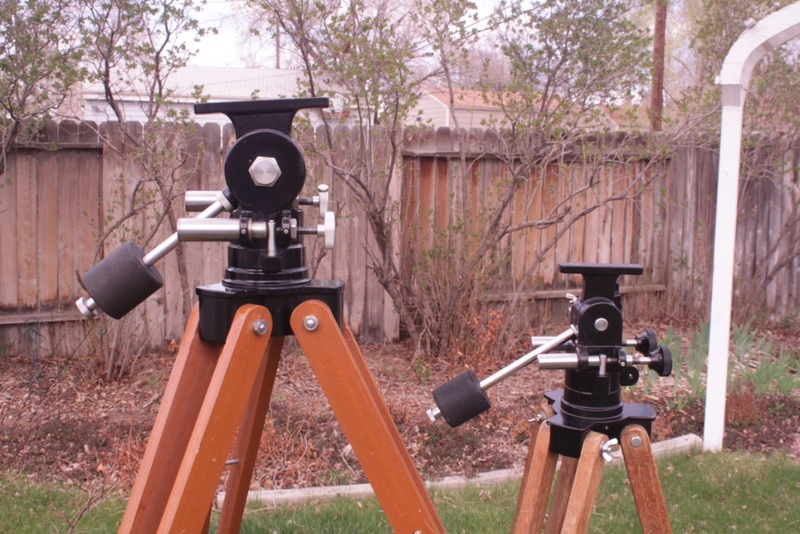 The smaller APO is more steady, and the image is nearly as good as its big brother. The six inch is a great big horse compared to these two. The image is lovely but it does not justify the extra effort to set it up. So the little APO wins for nights of poor or mediocre seeing. The Mak wins for nights of good or great seeing. 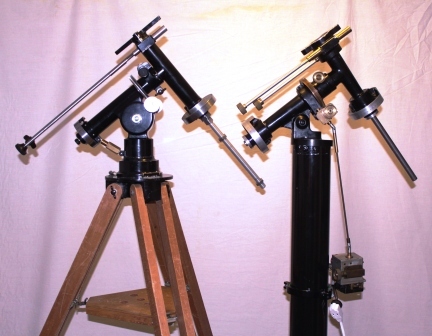 Both of these scopes are simple and easy to use, especially now that the Mak has lost all that weight. I am very happy with the outcome! 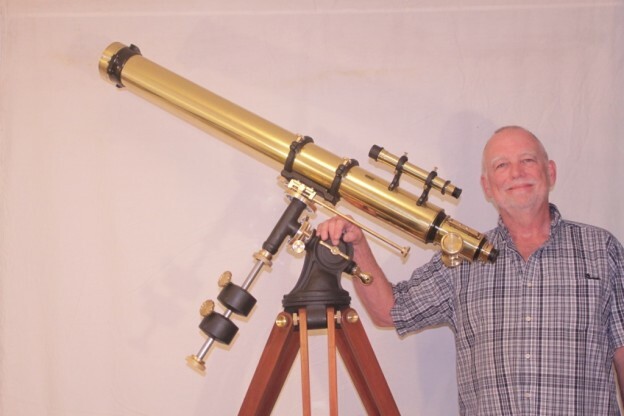 This entry was posted in Telescope Maker's Workshop on March 5, 2014 by DaveTrott. In my design there is a bulkhead near the focuser. 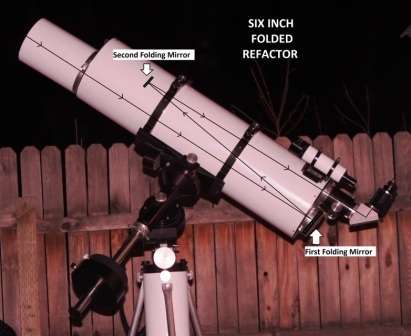 See Constructing a Folded Refractor. This is mostly for structural support of the tube. It increases the rigidity. But the baffling incorporated at that point is fairly ineffective. The geometry makes it nearly impossible to block stray light from the objective (like an off-axis street light) from entering the eyepiece. 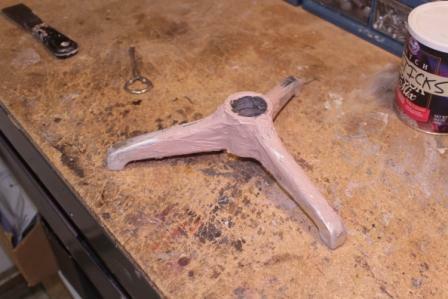 However, I was able to do a very effective job of baffling by making a stop that fits on the inside of the focuser tube. That is the way Unitron did it and it seems to work just fine. 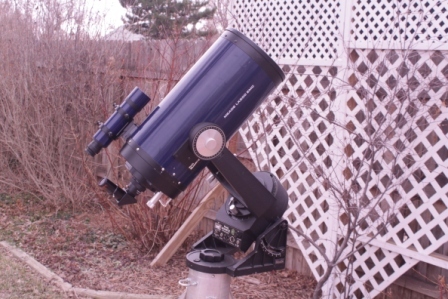 The focuser at the top of the picture is from a Unitron 131C, 75mm folded refractor. At the bottom is the draw tube from my scope. Notice that I have put a blackened light stop at the end of the draw tube. The size of the hole in my version is only 7/8 inch. This is just barely enough for full illumination at the center of my eyepiece. I am using the scope for planetary and lunar observation so this works well for me. I can easily enlarge the opening if necessary but the light fall-off at the edge of the field is not even noticeable. And stray light from my irritating street light is not a problem. This entry was posted in Folded Refractor on February 12, 2013 by DaveTrott. 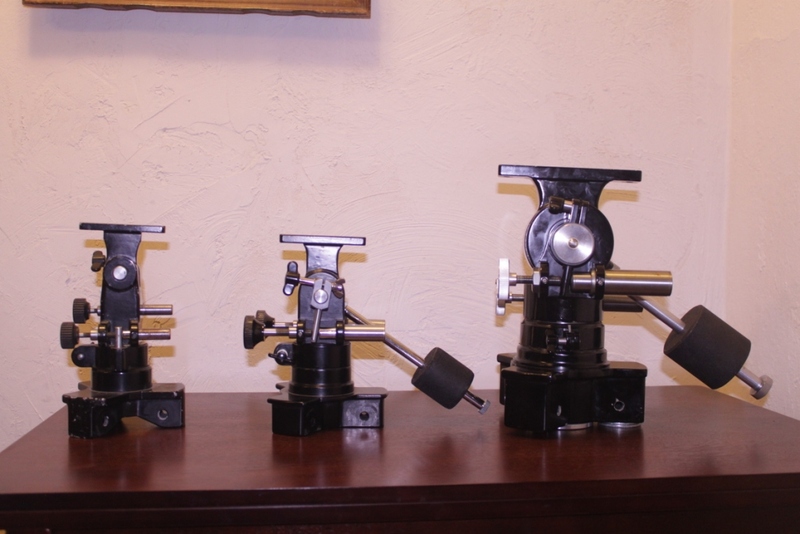 This is a Unitron 4 inch mount alongside a nearly identical home-built mount of unknown origin. The similarities between them are numerous. They both have the Unitron style declination slow motion controls, large high quality setting circles and are nearly identical in size and overall design. But the home-built mount actually has several improvements over the superb Unitron, including a breathtaking mechanical clock drive adjustment mechanism. The unknown maker of this mount was a genuine craftsman of the highest caliber. I call this mount a Uni-Clone with the greatest possible respect. You can see closeups of the mount, clock drive and corrector on Youtube at http://youtu.be/d1VNP8gpH-I . 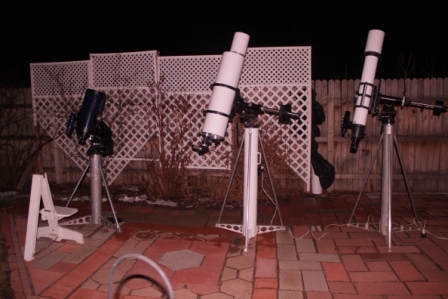 This entry was posted in Uncategorized, Unitron Telescope and tagged Uni-clone Telescope Mount on February 2, 2013 by DaveTrott.